American experts found that beer protects women from a deadly disease. Specialists from the Harvard Medical School in Boston conducted relevant studies, reports ” Medic Forum “. In the observations of scientists participated 250 thousand women. In the course of the experiment it turned out that the use of certain types of beer allowed participants to reduce the risk of developing rheumatoid arthritis. As a result, the probability of the disease decreased by 31%. “Perhaps a moderate use of alcohol two or three times a week can reduce the risk of developing rheumatoid arthritis in women,” the study authors said. Researchers have not yet been able to explain how exactly physiologically beer helps women reduce the risk of developing rheumatoid arthritis. Rheumatoid arthritis is an autoimmune disease of unknown etiology, characterized by symmetrical damage to cartilage and bone tissue. The disease leads to a deterioration in the quality of life, disability and premature death. 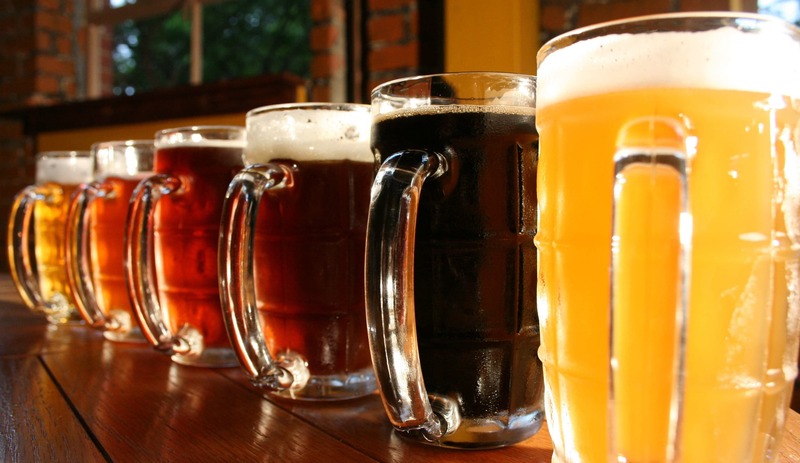 Earlier in the UK, a 100-year-old woman explained the longevity of love for beer . Please join us on Friday, February 2nd from 5 to 6:30 for a beer tasting "on the house" hosted by Up Country Brewing @MetroWines. We are pouring beer @MetroWines just in time for SuperBowl. UpCountry Brewing loves our neighborhood and we are excited to be West Asheville’s community brewery. With a taproom that serves a wide variety of craft beer styles and provides a full food menu, a complete bar, live music and a large outdoor area for your daily shenanigans, UpCountry Brewing is a fantastic place to meet up with family and friends. We are proud to be a kid friendly and pet friendly brewery. Come have a beer with us—we’ll see you soon! Cheers! The following was submitted to "Brewing Up a Storm" by Guest Blogger Bruce Howard. We hope Bruce will continue to share his thoughts with us about travel and beer! He writes about his trip to Asheville from Arizona via Maryland with his wife Marion and Corgi, Max. Full disclosure, Marion was my colelge roommate at SMU in Dallas and is a dear friend who balied me out of unfortunate situations time after time including the recent appearance of a reptile in my garage! You would have thought Marion, Max and I would leave Maryland after a two week stay and drive back to Arizona. Not for us, there were more friends to see and more IPAs to drink. We took a direct path south from Maryland and traveled to Asheville, North Carolina (NC) not quite a direct path west. If you have never been to western NC or eastern Tennessee you are missing some of best views in the United States. What took us to Asheville was Marion’s college roommate Gina and her husband John live there. I was shocked how many breweries are located in Asheville. So I attempted to do my best and visit some of them. This is the 2nd of three (3) blogs in the “Across the Country” series. The first and by far the largest brewery was the Sierra Nevada facility which is located in Mills River, just down the road from Asheville off Interstate 26 (you know you have made it when there is a sign for the facility located on I-26). Why come to Asheville to open a brewery – the water - which is basic for life (I mean water not beer). We were amazed at the beautiful facility and surrounding land. The brewery and associated facility are huge. We did not take the tour (there is one specifically for IPA) that is for the next trip. Prior to drinking beer I thought (or maybe it was Marion’s idea) it would be a good idea to have food. The Taproom layout is beautiful and the wood interior is amazing. But the view out the rear of the facility is breathtaking. I tried three IPAs (before I get ahead myself the food was outstanding – try the duck fat fries and green chile pork). I was not sure which IPA to try (I mean have a pint) so I went for the sampler (Audition Rye IPA, Hop Hunter IPA, Serrano Pale Ale and Torpedo Extra IPA). The Audition (ABV 5.9/IBU 38) Rye IPA had a smooth flavor which surprised me with the citrusy hop taste and rye being added but it was nice combination. The Hop Hunter IPA (ABV 6.2/IBU60) was more of a traditional IPA with more of a hoppy taste. If you like hops the Torpedo Extra IPA (ABV7.2/IBU65) would be my recommendation. The Serrano Pale Ale (ABV5.4/IBU 42) has a unique flavor for someone who enjoys a little spice (Serrano chili) in a Pale Ale. My favorite was the Audition Rye IPA. You would have thought I would have had a pint. Wrong. I had a pint of the Tropical Torpedo IPA (ABV6.7/IBU55). It had a different citrusy hop taste. If you like citrus that is not orange this is your beer. I am aware of Sierra Nevada beers in my local stores. But until I visited the Asheville facility I did not realize the variety of beers they produce and the quality. If you are like me you want to support your local brewery – I know Sierra Nevada is the second largest microbrewery of beer (second to Boston Brewery Company) but some of their business practices support local small business - buying the majority of their produce from local farmers. You can guarantee my next visit to Asheville will include a trip to the Sierra Nevada facility (including the IPA tour). You may have thought the Sierra Nevada facility visit was enough and you would be wrong. 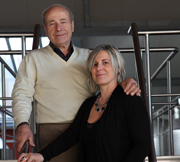 Gina and John owners of Metro Wine (have an excellent selection and variety of wines). Their main focus is wine but they have a number of beers to purchase (they are always doing something to support the community and have great tasting events – please look at their calendar section www.metrowinesasheville.com for information on wine/beer tastings). So being a good friend and “Consumer” expert I purchased a few bottles from Hi-Wire and Wicked Weed Breweries. I began with the Hi-Wire Brewery selection of Lion Tamer Rye IPA (ABV7%) which is a seasonal beer brewed and bottled from late July to late October and Hi-Pitch Mosaic IPA (ABV6.7%/IBU 55) a flagship beer brewed year around. The Lion Tamer Rye had a very strong spice taste which is probably the rye. If you like rye then this is the beer. The Mosaic IPA had a bitter/hoppy and a citrusy hop taste (do to the Mosaic hops) to me (which I enjoyed). This is the first time I reviewed a beer from the bottle, if you try the same one at any brewery it may have a different or fresher taste. I did not visit Hi-Wire Brewery on this trip but certainly will go on my next one. The second selection of beers were from Wicked Weed Brewery which included their Freak of Nature double IPA (ABV8.5%) and Pernicious IPA (ABV7.3%) that are brewed year around. The Freak of Nature Double IPA was off the charts hoppy (literally – the IBU rating is ? on their homepage), it is Wicked Weed Brewery’s first and maybe best flagship beer. As with most Double IPAs it has a high AVB so be careful how many you drink at one time. The Pernicious did not taste as hoppy and had a citrus taste (the brewer uses Mango hop aroma – I am not sure my pallet is sophisticated enough to detect the Mango influence) but it was smooth – so I had more than one. Based on conversations with local beer drinkers I had heard good things about Wicked Weed Brewery which seems to be one of the most popular breweries in Asheville so I visited the one downtown. I have never (and I have been to a few of them – just ask Marion) visited a brewery that had such a variety and selection of beers on tap. As I sat at the bar and pondered the meaning of life (or at least which beer I was going to try) I noticed they had Pumpkin beers (a seasonal treat for me). There were three on tap: Smokin Pumpkin Porter (ABV8.3%/IBU18), Chai Pumpkin Stout (ABV7.3%/IBU28) and Pumpkin Up The Volume (ABV7.6%/IBU 17). As with all pumpkin beers I chose the one that had the color of a pumpkin. My selection was Pumpkin Up The Volume. It was smooth and hit that distinct pumpkin taste – it was excellent. I should have taken a growler back with me back to Arizona. I would highly recommend visiting Wicked Weed Brewery on your next trip to Asheville. I could have spent days visiting all the breweries in Asheville (oh – I did not mention our tour of the Biltmore you have got to experience it) but we had to make our way west back home to Arizona. We had a great time and thank you Gina and John for being wonderful hosts. Anita Riley, formerly of MetroWines!, stops in shop TODAY from 3:30 to 4pm to sign copies of her new book: "BREWING AMBITION: Recipes and Stories from the Women of North Carolina Craft Beer." Wall Street Journal posts "The Clued-In- Brewer" Dogfish Head's Sam Calagione shares his tips on elevating a basic wardrobe. We don't have the wardrobe but we have the beer! About Midas Touch from "Dogfish Head"
All of the ideas about what our ancient ancestors were drinking–whether a wine, beer, or mead–come together in our research on the so-called King Midas funerary feast, because surprisingly all three were mixed together in the drink. The gala re-creation of the feast in 2000 was at the Penn Museum. A spicy, barbecued lamb and lentil stew, according to our chemical findings, was the entree, and it was washed down with a delicious, saffron-accented rendition of the Phrygian grog or “King Midas Golden Elixir” by Dogfish Head Craft Brewery. Dogfish is the fastest growing microbrewery in the country, and “Midas Touch” has become its most awarded beverage (3 golds and 5 silvers in major tasting competitions, with a few bronzes tossed in for good measure). The extreme beverage took another silver in the Specialty Honey Beer category at the 2013 Great American Beer Festival in Colorado. When the Penn Museum excavators cut through the wall, they were brought face-to-face with an amazing sight, like Howard Carter’s first glimpse into Tutankamun’s tomb. The excavators first saw the body of a 60-65-year-old male, who had died normally. He lay on a thick pile of blue and purple-dyed textiles, the colors of royalty in the ancient Near East. In the background, you will see what really got us excited: the largest Iron Age drinking-set ever found–some 157 bronze vessels, including large vats, jugs, and drinking-bowls, that were used in the final farewell dinner outside the tomb. Like an Irish wake, the king’s popularity and successful reign were celebrated by feasting and drinking. The body was then lowered into the tomb, along with the remains of the food and drink, to sustain him for eternity or at least the last 2700 years. None of the 160 drinking vessels, however, was of gold. Where then was the gold if this was the burial of Midas with the legendary golden touch? In fact, the bronze vessels, which included spectacular lion-headed and ram-headed buckets for serving the beverage, gleamed just like the precious metal, once the bronze corrosion was removed. So, a wandering Greek traveler might have caught a glimpse of this when he or she concocted the legend. The real gold, as far as I was concerned, was what these vessels contained. And many of them still contained the remains of an ancient beverage, as seen in this close-up photograph of the residue, which was intensely yellow, just like gold. It was the easiest excavation I was ever on. Elizabeth Simpson, who has studied the marvelous wooden furniture in the tomb, asked me whether I’d be doing the analysis. I just had to walk up two flights of stairs, and there were the residues in their original paper bags from when they were collected in 1957 and sent back to the museum. We could get going with our analysis right away. What then did these vessels contain? Chemical analyses of the residues–teasing out the ancient molecules–provided the answer. I won’t go into all the details of our analyses, in the interests of the chemically-challenged (please refer to the attached pdf’s). Briefly, by using a whole array of microchemical techniques, including infrared spectrometry, gas and liquid chromatography and mass spectrometry, we were able to identify the fingerprint or marker compounds for specific natural products. These included tartaric acid, the finger-print compound for grapes in the Middle East, which because of yeast on the skins of some grapes will naturally ferment to wine, especially in a warm climate. The marker compounds of beeswax told us that one of the constituents was high-sugar honey, since beeswax is well-preserved and almost impossible to completely filter out during processing; honey also contains yeast that will cause it to ferment to mead. Finally, calcium oxalate or beerstone pointed to the presence of barley beer. In short, our chemical investigation of the intense yellowish residues inside the vessels showed that the beverage was a highly unusual mixture of grape wine, barley beer and honey mead. You may cringe at the thought of mixing together wine, beer and mead, as I did originally. I was really taken aback. That’s when I got the idea to do some experimental archaeology. In essence, this means trying to replicate the ancient method by taking the clues we have and trying out various scenarios in the present. In the process, you hope to learn more about just how the ancient beverage was made. To speed things up, I also decided to have a competition among microbrewers who were attending a “Roasting and Toasting” dinner in honor of beer authority Michael Jackson (not the entertainer, but the beer and scotch maven, now sadly no longer with us) in March of 2000 at the Penn Museum. I simply got up at the dinner, and announced to the assembled crowd that we had come up with a very intriguing beverage that we needed some enterprising brewers to try to reverse-engineer and see if it was even possible to make something drinkable from such a weird concoction of ingredients. Soon, experimental brews started arriving on my doorstep for me to taste–not a bad job, if you can get it, but not all the entries were that tasty. Sam Calagione of Dogfish Head Brewery ultimately triumphed. He also came up with an innovative label of our re-created beverage, showing the Midas golden thumb print. Just one footnote: the bittering agent used in Midas Touch was not hops (which was only introduced in to Europe around 700 A.D.), but the most expensive spice in the world, saffron. Turkey was renowned for this spice in antiquity, and although we’ve never proven it, the intense yellowish color of the ancient residues may be due to saffron. NEW in SHOP. NEW EVERYWHERE! Hop Cocoa is a silky smooth Porter brewed with Dutch cocoa powder, and dark cocoa nibs from the French Broad Chocolate Lounge. Rich, dark and delicious with Wicked Weed's unmistakable hop style. Planning a holiday office party, celebratory event or searching for a unique idea for a gathering of family and friends? Consider a wine tasting @MetroWines! We can plan an event especially for you. You pick the theme. Maybe Bordeaux, Rueda or Sicily or even a Blind Tasting! Hosting an event or planning a wedding, we offer a wide selection of wines that vary by varietal and price and expert pairing advice. And if you are in our delivery area, we can bring the wine to you. We also offer a Gift Registry for any occasion. Someone retiring at the end of the year? Received a promotion? Relocating? Getting married!? Call a consultant at 828-575-9525. Let us take one more task off your holiday to-do list! And thank you for the opportunity to be part of your holidays.